This blog should have been written about four months ago. 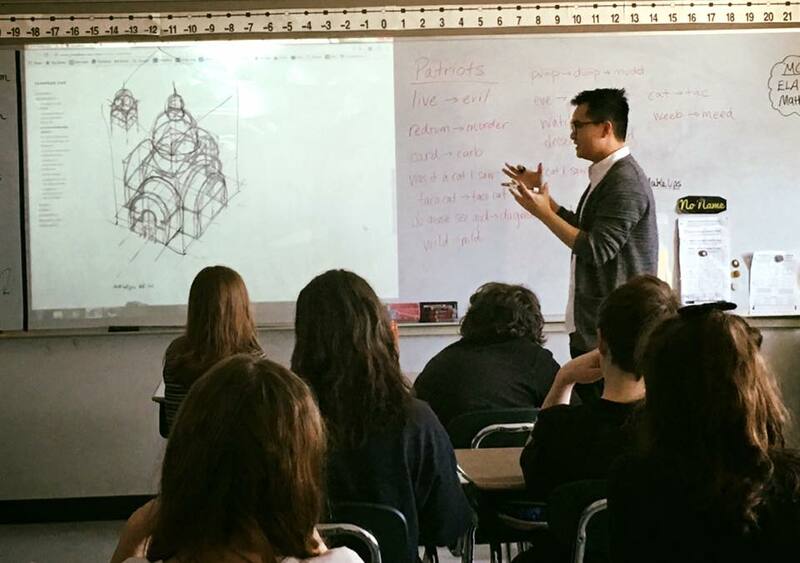 Around that time, Jonny Sun visited my classroom. Let me tell you about it. To my surprise, Jonny then private messaged me to set up a classroom visit! I was super excited as a sat in Harvard Square’s Starbucks (my second home) and read his messages. We figured out a date that worked for the both of us and on Monday, March 20, 2017, Jonny actually showed up to visit two of my classes! I explained to the classes who he was and why he was there. 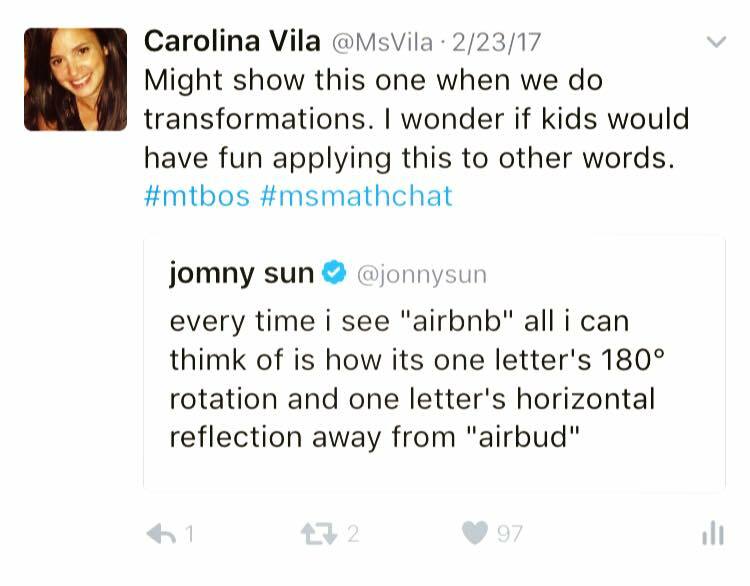 Not only was his tweet related to something we were working on: rotations and reflections, but I was also interested in having Jonny discuss how he uses math in "the real world." Jonny's not just a comedian, he's also an architect, cartoonist, author, and more. Once we got into the activity of the day, students had some fun trying to rotate and reflect letters in certain words to make new words. This is harder than it sounds! Jonny then gave a casual presentation on how his art and comedy stem from a love of both math and the English language. Near the end of class, students asked questions and I took a few more pictures. Because I had an after-school help session schedule that day, I had to walk Jonny to the door with a quick thank you and goodbye. As he left, I remember thinking that I should have paid for his ride-share back to Cambridge - I owe you, Jonny! As I reflect on my ten years as a teacher, I think Jonny’s visit is one of my favorite memories. With a book just released, he’s a very busy guy and I’m so happy I was able to get him to visit before life turned too crazy. Check out this recent New York Times article about Jonny! And check out his book tour dates below.